To paraphrase Gore Vidal, it is not enough that the self-centred learner achieves their own goals, others must not reach theirs. 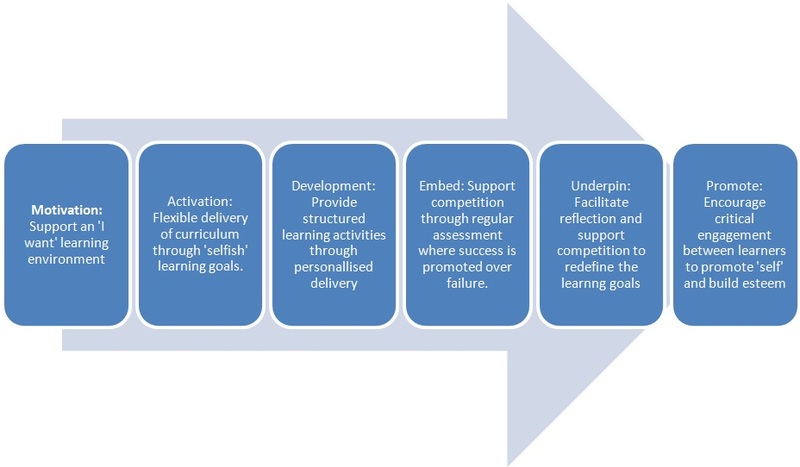 At this point it is still unclear whether this model will gain widespread acceptance but the researchers for the Applied Pedagogic Research Institute of Learning promise to provide real examples later this year via a Massively Open Online Course (MOOC). The aims and goals will be learner defined, building on the model above. This looks to be an interesting experiment.